Located just a short stroll from the MGM Grand, Paris, New York New York and The Aladdin, Carriage House features easy access, quick check-in and an ideal location. Guests enjoy an outdoor heated pool/whirlpool and a tennis/basketball court, among other amenities. 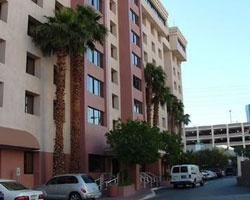 There is also abundant parking and a 24-hour front desk.